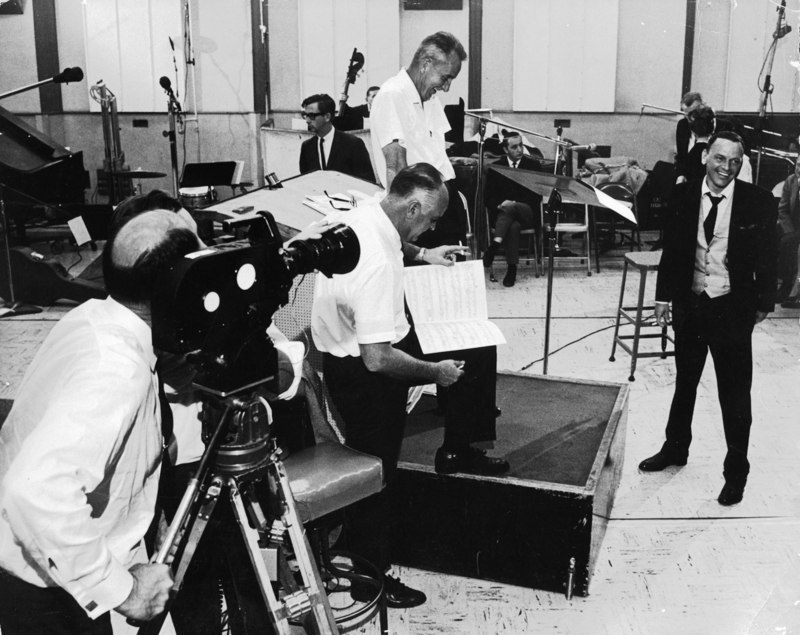 L to R: CBS camera man; holding score producer Sonny Burke; on podium, Gordon Jenkins; on right, Frank Sinatra. above podium, liner notes writer. Era: 1965. I’ve been meaning to post this for a while now. This is a classic photo of my dad, the great Stan Cornyn, pretending to look busy in a recording studio with Frank Sinatra. Cornyn is the photogenic fellow with glasses and necktie. Come to think of it, this is one of the few times I’ve seen him in a necktie. He must have been in trouble with his boss that day.